Getting your website hosted is the easy part, and most website development companies stop there leaving you to fend for yourself. Our website management plans are designed to take all your technical headaches away allowing you to focus on what you do best. 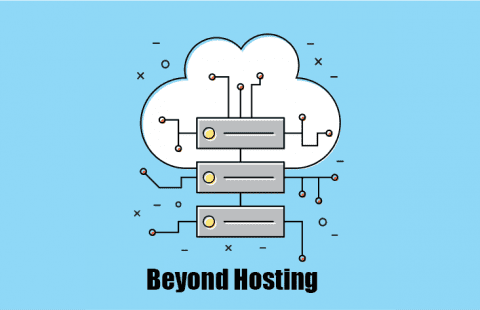 Our hosting services are provided by a reputable and reliable third-party in the US where we have a dedicated server and segregated cpanels for each client. Local hosting in Canada is an available option. Disk space and bandwidth is allocated based on your chosen plan. Additional disk space used will be invoiced at $5 per additional 1 GB, and additional bandwidth at $5 per additional 10 GB. Web servers are notoriously bad for handling e-mails sent through your website and many businesses who don't have an e-mail relay set up are likely missing sales leads or customer requests because of it. Our e-mail relay service makes sure you never miss a sales lead. Each night, we automatically backup your website files and database to a remote offsite server. This means we can revert back to a previous version in case an unrepairable situation occurs for any reason for up to 15 days. Add-ons for your content management system, often called plugins or modules, have frequent updates that need to be applied. We take care of all of that for you to make sure your website is always up-to-date with current technology and offers the newest and most stable functionality. We will take responsibility for your website's security by updating all security patches as they are released, securing your forms with spam protection, applying our tried and tested security best practices, and renewing your HTTPS SSL certificate if it is with Let's Encrypt. We use Google Analytics and other tools to track the activity on your website. Our PRO plan allows you to know whether your site is delivering on the goals you set out for it; our web specialists work with you to identify your key goals, set up tracking, and report on them each month. We can take care of your domain name registration, renewals, and make any DNS changes you require. We use reliable and affordable registrars to keep the costs down. Domain name renewal fees will be invoiced through our cost-recovery system as a third-party fee. There are many third-party costs associated to running a website such as license fees for a premium theme or plugin, domain name renewal fees and privacy protection, caching services, and more. We can handle these fees for you and recover the costs from you in with clear invoicing, giving you clarity, consolidation, and peace-of-mind knowing that you are only spending money on the necessary things. A 25% admin fee applies to all cost-recovery items. Squarespace, Weebly, or Wix we can convert your website over to WordPress or Drupal or provide on-demand services. All our plans help you improve your online presence. There's more to running a website than just hosting. The platforms we support are WordPress and Drupal. Our webmaster and support team invest 1.5 hours on average each month into the maintenance of your website. Get serious about your online performance. This plan includes an additional 2.5 hours from our digital strategist and support team each month. If you require more goals or keywords, we can tailor this plan to fit your needs. Invest in digital marketing to grow your online presence. This plan includes an additional 7.5 hours from your dedicated digital strategist. If you require more or less hours, we can adjust this plan to your budgetary needs and ambitions. Additional hours may be added any month at $70/hour. Let us maintain your website and provide you with expert friendly technical support by taking care of all the technical items required for your website. As part of this transfer, we will (1) set up our security essentials, (2) apply our CMS best practices, (3) put your website through our 30 point analysis, and (4) schedule a meeting with you to review everything and discuss your online goals. 1Do you charge a setup fee? No, we do NOT charge a setup fee. In fact, we actually invest significant time up front on your website when we start the maintenance plan to (a) apply our CMS best practices, (b) apply our security essentials, and (c) put your website through our website assessment scorecard. 2Do you charge more for custom or complex websites? Maybe. If your site has custom website software built into it or has advanced plugins or integrations that require more effort on our part to manage, we will need to increase the monthly amount proportionately to the complexity. Contact us to inquire and we'll be happy to provide a customized quote for you. 3What platforms do you support? We currently support the following platforms: WordPress and Drupal. If you have a website on a different platform and are interested in our services, please contact us and we'll see if we are able to take it on. 4What does "Never miss an e-mail" mean? This means that we will ensure that all e-mails sent FROM your website through your contact forms, web forms, or any other means will all funnel through an e-mail relay service to ensure maximum deliverability and to track each e-mail, instead of relying on the web server to deliver emails. Web servers are notoriously bad for handling e-mails sent through your website and many businesses who don't have an e-mail relay set up are likely missing sales leads or customer requests because of it. We make sure you never miss an e-mail. 5If my website is built on Shopify, Squarespace, Weebly, or Wix, can you still help me? Yes, if your needs are not being met, we can convert your website over to WordPress or Drupal, OR we can provide on-demand support. Contact us if that is the case. 6Are there any limits to the usage of the hosting? Yes, our standard hosting covers up to 5GB of disk space and up to 50GB of bandwidth. Additional disk space can be purchased as $10 per additional 1 GB, and additional bandwidth can be purchased at $10 per additional 50 GB. Your monthly website performance report tracks your usage and we'll let you know if you exceed these limits. 7How far back do your nightly backups go? 8What's included in the monthly plugin and platform updates? Depending on your content management system (CMS), there are frequent updates that need to be applied to maintain security levels and improve functionality. Add-ons, often called plugins or modules, also have frequent updates that need to be applied. We take care of all of that for you to make sure your website is always up-to-date with current technology. Above and beyond that, we regularly roll out bug fixes and improvements to your website to make sure your website is keeps up with the latest best practices and versions of our standard feature set. 9What's included in the security essentials? On a monthly basis, we look for security patches for your CMS and add-ons and apply them to ensure your site is always secure. We also do a review of the current security levels and protection in place to ensure your site is configured properly and is clean and secure. If we discover that your site has been infected or hacked due to gaps in our security model, we'll fix it and secure it at our cost! 10Should I move my hosting over to you? Hosting is optional on our plan, but we do recommend your host your site with us. This will save you from spending extra money with another hosting provider and alleviate you from the responsibility of managing it. If you want to have your website hosted with us, we need to migrate your site over to our server and address your email situation. We charge a fee of $150 to migrate the site and will recommend a way forward for you in regards to your email flow. Don't have the desire or time to make content updates to your website, our experts can do it for you through our pay-as-you-go $1.25 per minute on-demand service. We will take responsibility for your website's security by updating all security patches as they are released, securing your forms with spam protection, and applying our tried and tested security best practices. Our PRO plan includes the setup of an HTTPS SSL certificate.